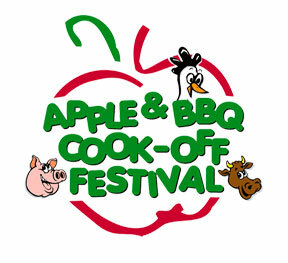 Silver Lake Sand Dunes holds its very popular Apple BBQ Cook-Off Festival in the business district in mid-September. Includes Amateur & Professional BBQ Competition, craft show, classic auto & truck show, dune buggy show, beer tent, food vendors and live entertainment. Here's what happened in 2018. The 2019 schedule will be posted as it becomes available. 10am-5pm - King of the Dunes BBQ Competition. Awards at 6:30pm. 2pm-5:30pm - Keith Scott, Festival Stage. 5:30pm - Beak to Beak Competition. 6pm-9:30pm - Rochelle & The Spoilers, Festival Stage. 9am-10am - Apple Pie contest check-in at Pavilion. 9am - Apple A Day 5K Fun Run/Walk, Mac Woods Dune Rides. 10am - National Anthem at Sunchasers. 10am-Noon - KCBS Professional Competition. 10am-4pm - Mt. Baldy Hill Climb Technical Inspection. 10am-5pm - Homemade Crafts & Fresh Farm Apples/Produce Show. 10am-5pm - Children's Activities, Games & Inflatables. 10am-4:30pm - Classic Vehicle & Buggy Show. 10am-5pm - Rudy the DJ from Big R Productions, Festival Stage. Noon - Apple a Day 5K Awards. 1pm - BBQ Eating Contests. 1:45pm - Apple Pie Awards. 4:15pm - Classic Vehicle & Buggy Show Awards. 6pm-10pm - Vincent Hayes, Festival Stage. 10am - Race at the Silver Lake Sand Dunes. Events are listed according to the information available at the time of the most recent update to this story. The schedule is subject to change. For more information, please see www.applebbqfestival.com.